Men are ever valued most for peculiar and original qualities. A man who can only talk common-place, and act according to routine, has little weight. To speak, look, and do what your own soul from its depths orders you, are credentials of greatness which all men understand and acknowledge. Such a man's dictum has more influence than the reasoning of an imitative or common-place man. He fills his circle with confidence. He is self-possessed, firm, accurate, and daring. Such men are the pioneers of civilization, and the rulers of the human heart. Why should not nations be judged thus? Is not a full indulgence of its natural tendencies essential to a people's greatness? Force the manners, dress, language, and constitution of Russia, or Italy, or Norway, or America, and you instantly stunt and distort the whole mind of either people. The language, which grows up with a people, is conformed to their organs, descriptive of their climate, constitution, and manners, mingled inseparably with their history and their soil, fitted beyond any other language to express their prevalent thoughts in the most natural and efficient way. To impose another language on such a people is to send their history adrift among the accidents of translation—'tis to tear their identity from all places—'tis to substitute arbitrary signs for picturesque and suggestive names—'tis to cut off the entail of feeling, and separate the people from their forefathers by a deep gulf—'tis to corrupt their very organs, and abridge their power of expression. The language of a nation's youth is the only easy and full speech for its manhood and for its age. And when the language of its cradle goes, itself craves a tomb. What business has a Russian for the rippling language of Italy or India? How could a Greek distort his organs and his soul to speak Dutch upon the sides of the Hymettus, or the beach of Salamis, or on the waste where once was Sparta? And is it befitting the fiery, delicate-organed Celt to abandon his beautiful tongue, docile and spirited as an Arab, "sweet as music, strong as the wave"—is it befitting in him to abandon this wild liquid speech for the mongrel of a hundred breeds called English, which, powerful though it be, creaks and bangs about the Celt who tries to use it? A people without a language of its own is only half a nation. A nation should guard its language more than its territories—'tis a surer barrier, and more important frontier, than fortress or river. And in good times it has ever been thought so. Who had dared to propose the adoption of Persian or Egyptian in Greece—how had Pericles thundered at the barbarian? How had Cato scourged from the forum him who would have given the Attic or Gallic speech to men of Rome? How proudly and how nobly Germany stopped ‘the incipient creeping’ progress of French! And no sooner had she succeeded than her genius, which had tossed in a hot trance, sprung up fresh and triumphant. Had Pyrrhus quelled Italy, or Xerxes subdued Greece for a time long enough to impose new languages, where had been the literature which gives a pedigree to human genius? Even liberty recovered had been sickly and insecure without the language with which it had hunted in the woods, worshipped at the fruit-strewn altar, debated on the council-hill, and shouted in the battle-charge. To lose your native tongue, and learn that of an alien, is the worst badge of conquest—it is the chain on the soul. To have lost entirely the national language is death; the fetter has worn through. So long as the Saxon held to his German speech, he could hope to resume his land from the Norman; now, if he is to be free and locally governed, he must build himself a new home. There is hope for Scotland—strong hope for Wales—sure hope for Hungary. The speech of the alien is not universal in the one; is gallantly held at bay in the other; is nearly expelled from the third. How unnatural—how corrupting—'tis for us, three-fourths of whom are of Celtic blood, to speak a medley of Teutonic dialects. If we add the Celtic Scots, who came back here from the thirteenth to the seventeenth centuries, and the Celtic Welsh, who colonised many parts of the Wexford and other Leinster counties, to the Celts who never left Ireland, probably five-sixths, or more, of us are Celts. What business have we with the Norman-Sassenagh? And just as this parliament before the Reformation, so did another after the Reformation. By the 28th Henry VIII, c. 15, the dress and language of the Irish were insolently described as barbarous by the minions of that ruffian king, and were utterly forbidden and abolished under many penalties and incapacities. These laws are still in force; but whether the Archaeological Society, including Peel1 and O'Connell, will be prosecuted, seems doubtful. There was also, 'tis to be feared, an adoption of English names, during some periods, from fashion, fear, or meanness. Some of our best Irish names, too, have been so mangled as to require some scholarship to identify them. For these and many more reasons, the members of the Celtic race here are immensely greater than at first appears. But this is not all; for even the Saxon and Norman colonists, notwithstanding these laws, melted down into the Irish, and adopted all their ways and language. For centuries upon centuries Irish was spoken by men of all bloods in Ireland, and English was unknown, save to a few citizens and nobles of the Pale. 'Tis only within a very late period that the majority of the people learned English. But, it will be asked, how can the language be restored now? We shall answer this partly by saying that, through the labours of the Archaeological and many lesser societies, it is being revived rapidly. We shall consider this question of the possibility of reviving it more at length some other day. Nothing can make us believe that it is natural or honourable for the Irish to speak the speech of the alien, the invader, the Sassenagh tyrant, and to abandon the language of our kings and heroes. What! give up the tongue of Ollamh Fodhla and Brian Boru, the tongue of M'Carthy, and the O'Nials, the tongue of Sarsfield's, Curran's, Mathew's, and O'Connell's boyhood, for that of Strafford and Poynings, Sussex, Kirk, and Cromwell! No! oh, no! the ‘brighter days shall surely come’, and the green flag shall wave on our towers, and the sweet old language be heard once more in college, mart, and senate. But, even should the effort to save it as the national language fail, by the attempt we will rescue its old literature, and hand down to our descendants proofs that we had a language as fit for love, and war, and business, and pleasure, as the world ever knew, and that we had not the spirit and nationality to preserve it! Had Swift known Irish he would have sowed its seed by the side of that nationality which he planted, and the close of the last century would have seen the one as flourishing as the other. Had Ireland used Irish in 1782, would it not have impeded England's re-conquest of us? But 'tis not yet too late. Now, reader, don't be alarmed, we are not going to ask you to call your wife machree, or your child mavourneen instead of ‘my heart’ and ‘my dear’, as you do or ought to do now. We do not want you to learn names for those implements of agriculture and trade, those articles of furniture and dress, those relations of love, and life, and religion, other than you in infancy lisped. For you, if the mixed speech called English was laid with sweetmeats on your child's tongue, English is the best speech of manhood. And yet, rather, in that case you are unfortunate. The hills, and lakes, and rivers, and forts and castles, the churches and parishes, the baronies and counties around you, have all Irish names—names which describe the nature of the scenery or ground, the name of founder, or chief, or priest, or the leading fact in the history of the place. To you these are names hard to pronounce, and without meaning. And yet it were well for you to know them. That knowlege would be a topography, and a history, and romance, walking by your side, and helping your discourse. Meath tells its flatness, Clonmel the abundant riches of its valleys, Fermanagh is the land of the Lakes, Tyrone the country of Owen, Kilkenny the Church of St. Canice, Dunmore the great fort, Athenry the Ford of the Kings, Dunleary the Fort of O'Leary; and the Phoenix Park, instead of taking its name from a fable, recognises as christener the "sweet water" which yet springs near the east gate. All the names of our airs and songs are Irish, and we every day are as puzzled and ingeniously wrong about them as the man who, when asked for the air, I am asleep, and don't waken me, called it "Tommy M'Cullagh made boots for me." The bulk of our history and poetry are written in Irish, and shall we, who learn Italian, and Latin, and Greek, to read Dante, Livy, and Homer in the original—shall we be content with ignorance or a translation of Irish? As we urged before, with a detail which we cannot now repeat, three-fourths of the people are of Celtic descent, notwithstanding the English names imposed on so many of them by Act of Parliament, policy, fashion and meanness, and the Irish, the most pure of the Celtic dialects, must be fitted for their voice and ear, best to speak, most sweet to sing, most strong to rouse, most suited to the genius of the people, even as Greek best suits the men descended from the conquerors of Marathon—the men who inherit Athenian mouths, ears, and musical faculties, who breathe the air, and dwell on the slopes of the Hymettus. 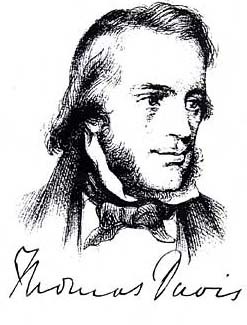 It were as absurd to expect the Irishman to be in full native health in India as to look for a full development of all his powers in oratory, music, and history, when using a tongue which leaves his fathers nameless, gives his fathers' deeds in translated fragments, strains his organs, and cramps his musical powers. But it will be said, 'tis too late to revive Irish, it has no modern literature, modern science is as nameless in Irish as Irish localities, airs, &c., are in English, and after all 'tis impossible to succeed. This sounds plausible, but 'tis very shallow. As to Irish not having a modern literature, we say, so much the better, if the present or coming generation have the energy to set about creating one. If they go to the work with strong passions, they will build a literature fast and firm enough; they will be greater, and the parents of higher excellence, than if they studied and repeated instead of originating songs, histories and essays. The old Irish literature is ample to give impulse, and character, and costume to a new literature. The want of modern scientific words in Irish is undeniable, and doubtless we should adopt the existing names into our language. The Germans have done the same thing, and no one calls German mongrel on that account. Most of these names are clumsy and extravagant; and are almost all derived from Greek or Latin and cut as foreign a figure in French and English as they would in Irish. Once Irish was recognised as a language to be learned as much as French or Italian, our dictionaries would fill up, and our vocabularies ramify, to suit all the wants of life and conversation. These objections are ingenious refinements, however, rarely thought of till after the other and great objection has been answered. The usual objection to attempting the revival of Irish is, that it could not succeed. If an attempt were made to introduce Irish, either through the national schools or the courts of law, into the eastern side of the island, it would certainly fail, and the reaction might extinguish it altogether. But no one contemplates this save as a dream of what may happen a hundred years hence. It is quite another thing to say, as we do, that the Irish language should be cherished, taught, and esteemed, and that it can be preserved and gradually extended. What we seek is, that the people of the upper classes should have their children taught the language which explains our names of persons or places, our older history, and our music, and which is spoken in the majority of our counties, rather than Italian, German, or French. It would be more useful in life, more serviceable to the taste and genius of young people, and a more flexible accomplishment for an Irish man or woman to speak, sing, and write Irish than French. At present the middle classes think it a sign of vulgarity to speak Irish—the children are everywhere taught English and English alone in schools—and, what is worse, they are urged by rewards and punishments to speak it at home, for English is the language of their masters. Now, we think the example and the exertions of the upper classes would be sufficient to set the opposite and better fashion of preferring Irish; and, even as a matter of taste, we think them bound to do so. And we ask it of the pride, the patriotism, and the hearts of our farmers and shopkeepers, will they try to drive out of their children's minds the native language of almost every great man we had, from Brian Boru to O'Connell—will they meanly sacrifice the language which names their hills, and towns, and music, to the tongue of the stranger? About half the people west of a line drawn from Derry to Waterford speak Irish habitually, and in some of the mountain tracts east of that line it is still common. Simply requiring the teachers of the National Schools in these Irish-speaking districts to know Irish, and supplying them with Irish translations of the school books, would guard the language where it now exists, and prevent it from being swept away by the English tongue, as the red Americans have been by the English race from New York to New Orleans. The example of the upper classes would extend and develop a modern Irish literature, and the hearty support they have given to the Archaeological Society makes us hope that they will have sense and spirit to do so. But the establishment of a newspaper partly or wholly Irish would be the most rapid and sure way of serving the language. The Irish-speaking man would find, in his native tongue, the political news and general information he has now to seek in English; and the English-speaking man, having Irish frequently before him in so attractive a form, would be tempted to learn its characters, and by-and-by its meaning. These newspapers in many languages are now to be found everywhere but here. In South America many of these papers are Spanish and English, or French; in North America, French and English; in Northern Italy, German and Italian; in Denmark and Holland, German is used in addition to the native tongue; in Alsace and Switzerland, French and German; in Poland, German, French, and Sclavonic; in Turkey, French and Turkish; in Hungary, Magyar, Sclavonic, and German; and the little Canton of Grison uses three languages in its press. With the exception of Hungary, the secondary language is in all cases, spoken by fewer persons than the Irish-speaking people of Ireland, and while they everywhere tolerate and use one language as a medium of commerce, they cherish the other as the vehicle of history, the wings of song, the soil of their genius, and a mark and guard of nationality.